Should You Court the Trade Press? Not Always. Investment. “Boar’s Head invests mightily in its brand… measured media spending totaled $19.9 million in 2011.” Per the article, about 95% of this spending is on radio. “Secretive” is a strong word – Boar’s Head is doing its business in public, after all. But I applaud their stance, which is to stay focused on strategy and execution – the stuff that matters most. 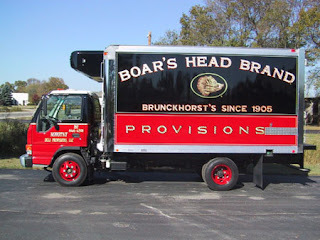 If the press (or their competitors) want to figure out what they’re doing, Boar’s Head won’t help them do that. Back in the ’90s, when I was the brand manager for Airheads candy, we took a similar approach. We were facing formidable share leaders (especially Skittles and Starburst) who regularly outspent us by a factor of 20 or more. Trading punches with a stronger hitter is always a strategic mistake, so we devised a longer-term, alternative strategy. So we focused on less glamorous, often unmeasured distribution channels like convenience stores, mom & pop shops, and club stores. We strove to offer great value at kid-friendly price points. And we invested the little marketing money we had on grassroots sponsorships like the American Youth Soccer Organization. We grew Airheads at an average annual rate of 28% for four consecutive years, vs. a category growth rate of 2-3%. 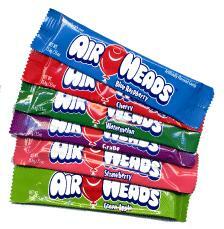 Ultimately, Airheads became the fastest-selling non-chocolate single in the country. There was no value in tipping our hands to our competitors. Much of what we did was under the radar. So detailing our strategies in the trade press would have helped Skittles much more than it helped us. We didn’t want to be a culture that rewarded activity instead of results. Most press would have been premature, in our view. “Here’s what Airheads is trying to do” felt very different than “Here’s what Airheads has successfully done.” We didn’t want press we hadn’t earned, and meanwhile, we focused on the work. It’s not an approach I’d recommend in every instance. In other situations, working closely with the trade press has made perfect sense. But before we buy into the mantra that “You MUST talk to the press,” or submit to our desires to see our names in print, it’s worth considering whether and how we can make this tool work for our specific objectives. It’s quite possible to leverage the value of the trade press in ways that don’t also require you to give away your secrets. And there can be considerable value in just keeping quiet and doing the work. Meanwhile, kudos to Boar’s Head for being a great example of a brand that stays focused and executes well. What do you think? Is a relationship with the trade press a necessity, or are there instances where you can do without? Please share your thoughts in a comment below.